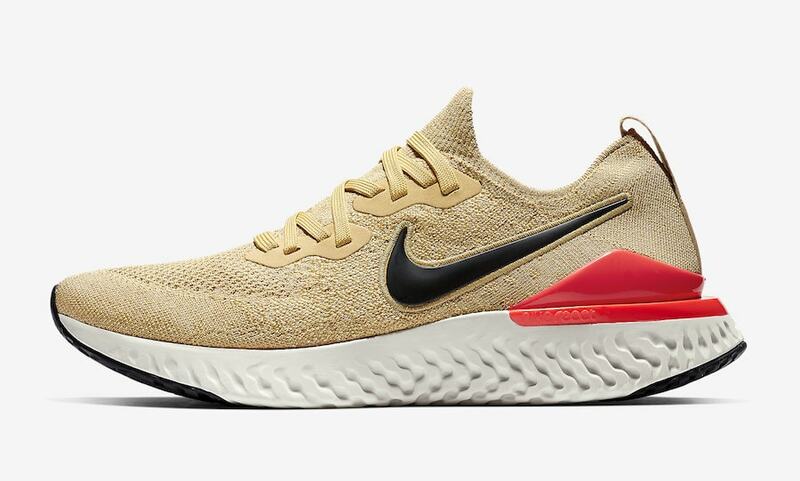 Nike’s second iteration of the Epic React Flyknit is finally here, though the new changes are nothing to jump out of your seat for. 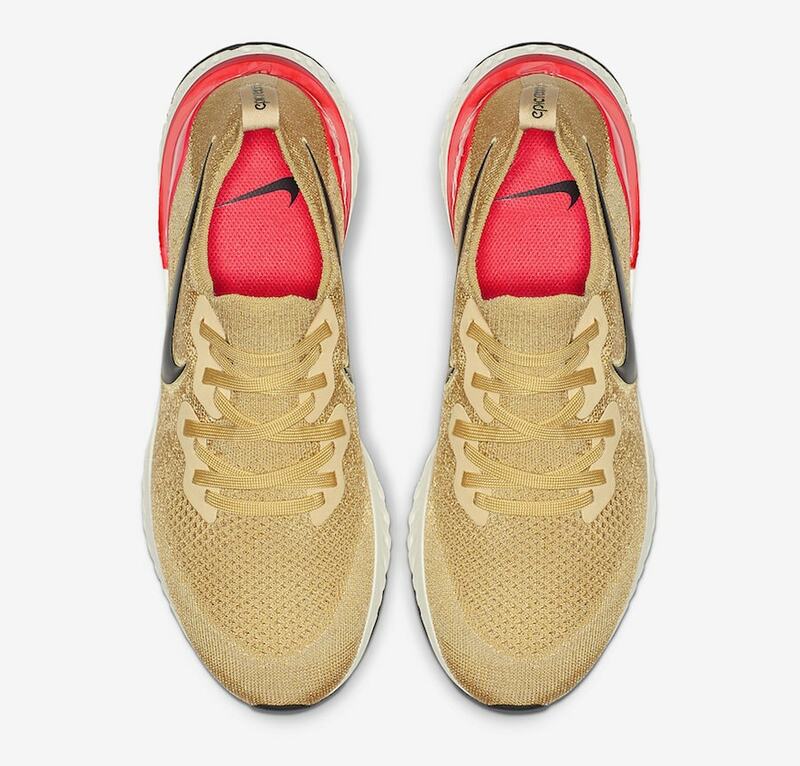 The silhouette boasts the same Flyknit upper as the original, likely with a few structural changes with the aim of tightening the sock-like feel of the material while retaining both support and flexibility. Additionally, the solid React midsole is now protected by much larger rubber tracts at the heel and toe for better durability and protection against the elements. 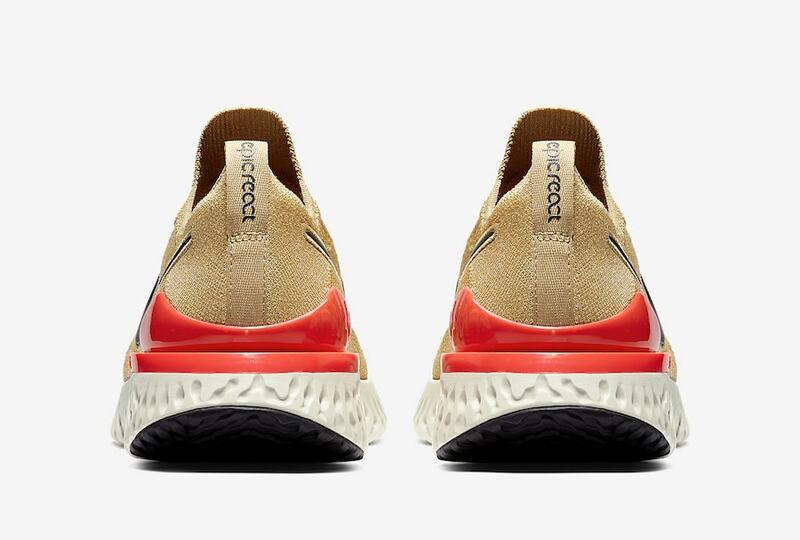 The final change to the new Epic React Flyknit 2 occurs to the shoe’s heel clip. Used to provide much-needed support for the wearer’s heels, ankles, and Achilles, the clip is shrunken in size, mainly at the center point, creating two pointed tips on either side of the heel. 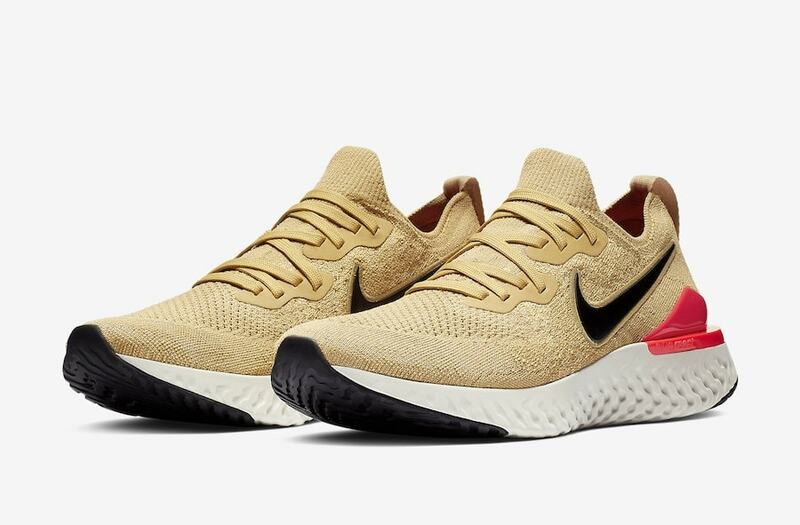 The latest colorway of the Epic React 2 to surface online covers the shoe in a subtly bright look, beginning with a muted gold color across the entirety of the Flyknit upper. The lacing system matches the rest of the upper’s tone, while plain black Swooshes stand out on either side. Finally, the heel clip is dyed in an infrared tone for a pop of color. 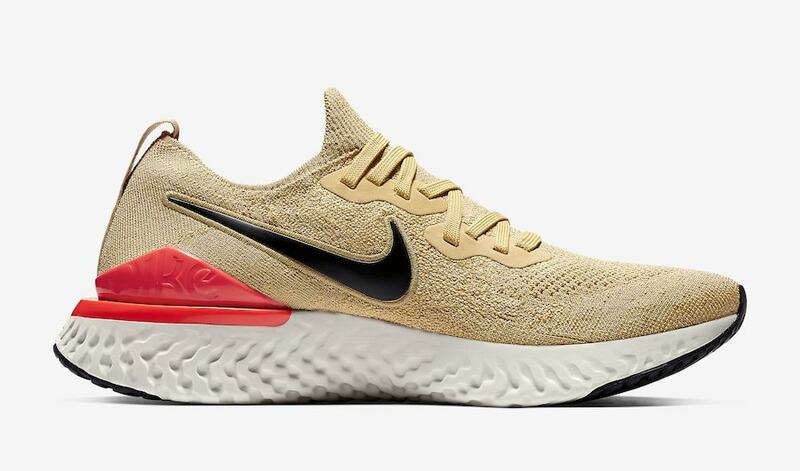 The Nike Epic React Flyknit 2 is ready to launch in the new “Club Gold” colorway on January 31st, 2019. The bold new pair carries the usual $150 retail price of the Epic React and will release from both Nike and select retailers. 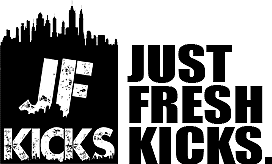 Check out the official images below for a better look at the new colorway, and stay tuned to JustFreshKicks for more Nike release news.